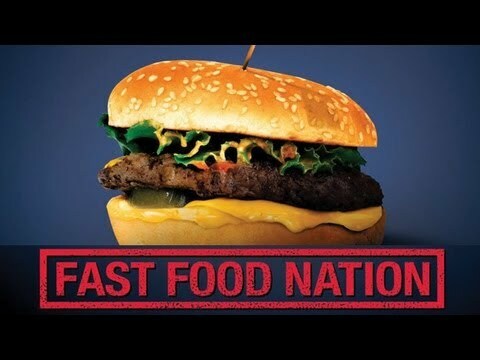 Fast Food Nation examines the health risks involved in the fast food industry and its environmental and social consequences to all. The documentary opens with the ironic delivery of a pizza to the top secret military base, Cheyenne Mountain in Colorado. Describing various high-tech capabilities of the base and its extensive defensive system, he speculates that if the worst were to happen and the entire base was to be entombed in the mountain, anthropologists of the future would discover random fast food wrappers scattered amongst military hardware. Both, suggests Schlosser, would provide important clues about the nature of American society. Fast Food Nation broaches the subject of child-targeted marketing, and how the McDonald’s Corporation modelled its marketing tactics on The Walt Disney Company, which inspired the creation of advertising icons such as Ronald McDonald and his sidekicks. Marketing executives intended that this marketing shift would result not only in attracting children, but their parents and grandparents too.